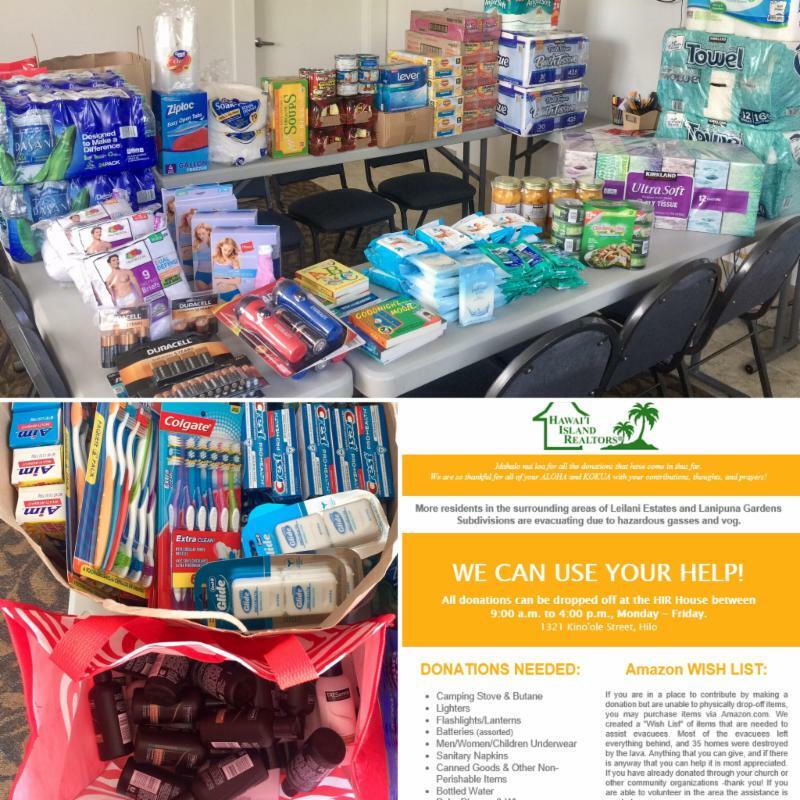 Donations NEEDED in Lower Puna! There is an on-going need of donations: necessities; canned goods and non-perishable food items; clothes/underwear; bottled water; Chemical Cartridge/Gas Mask Respirators; camping gear; pet supplies; etc. If you are in a place to contribute by making a donation but are unable to physically drop-off items, you may purchase items via Amazon.com. 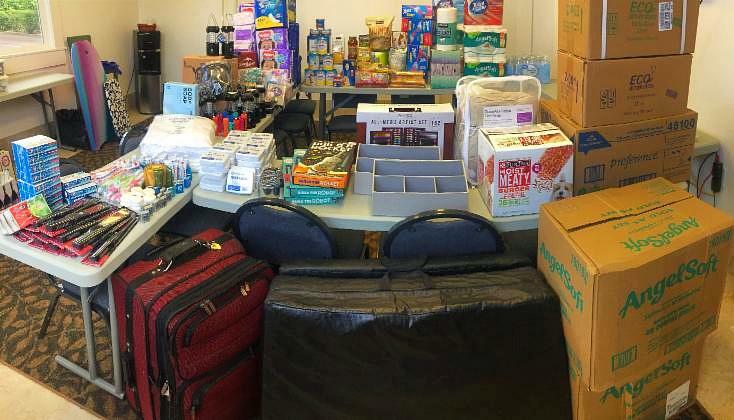 We created a “Wish List” of items that are needed to assist evacuees. Most of the evacuees left almost everything behind, and many are in a “camping” living situation at the moment. Anything that you can give, and if there is anyway that you can help it is most appreciated. If you have already donated through your church or other community organization -thank you! Items ordered through our Amazon Wish List will be delivered directly to the HIR House. Our REALTOR® volunteers are ready to assist in taking the donations to the community information hub (Pu’uhonua o Puna) on a regular basis, as well as other distribution sites as seen fit. Please, if you are able to share this information with others or make an additional contribution, we would appreciate the additional support for our Lower Puna community. Your kind donations were delivered directly to Pu’uhonua o Puna on 5/11/2018 and twice on 5/18/2018. They were very grateful when receiving. Mahalo nui loa! Eruption Updates and ResourcesLower Puna Caravans Cancelled Indefinitely ~ Stay Tuned for Updates!